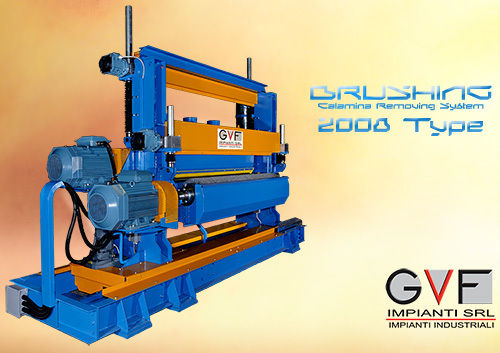 GVF Impianti Brushing Machine is equipped also with a suction and dust suppression system formed by two extractor fans, put on the machine, connected with an appropriate pipes to the dust suppression's systems. 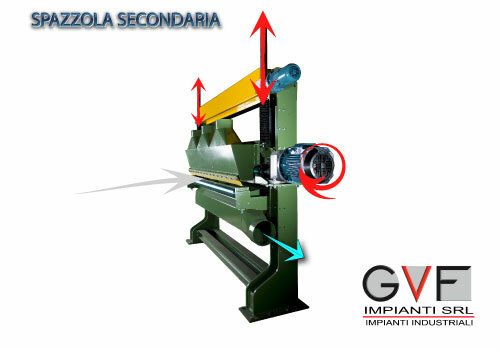 The suction plant is formed by a filter also with longitudinal prechamber of suppression, cleaning undertow system and exhaust valves for calamina. The range of GVF Impianti Brushing Machines expands itself with the secondary brush's series, both by single and double brushes. The secondary brushes are usually installed after yhe flattening, so that you can remove also the remained calamina residues, which came off due to the broaching, and to give to the end product the highest surface quality.